THE FIRST ORGANIZED PUB CRAWL IN PODGORICA-every night from 10 pm up to 01 am (22:00-01:00). Montenegro Hostel organizes the first pub crawl in the city of Podgorica! Everyone can participate. Podgorica has the most number of cafe bars and clubs in Montenegro. If you want to have unforgettable memories from the most popular clubs in Podgorica, join us. Reserve on-line your spot for the pub-crawl for 3€. Number of participants is limited, so hurry and make your reservation on time. Lounge bar and pub "Zeppelin"
You don't need to print the pub crawl ticket, just simply keep your reservation in your phone and show it to the party leader. 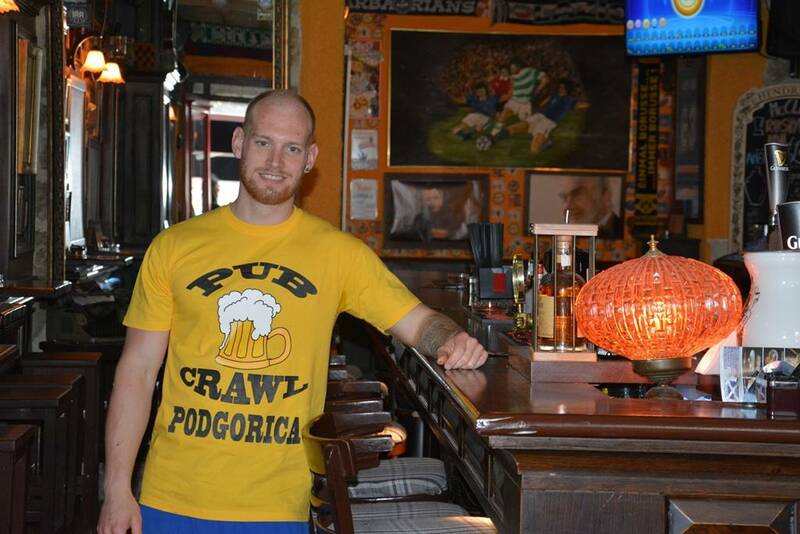 Party leader as well as promoters have T-shirts with the sign "PUB CRAWL PODGORICA". Look for us!! The cut-off time for the online booking is at 8pm (20:00). After that time pub crawl ticket is possible to buy at the reception of Montenegro Hostel B&B Podgorica. Minimum number of participants is 7, maximum number is 20 in one group. No swearing, disrespectful or rude behavior will be tolerated, one warning and continued behavior you'll be removed from the group. Possible problems with the police for breaking the law are not our responsibility. We are not responsible for lost or stolen property.